Hello everyone, and welcome back to my the Sin City Scraps blog. Today I am going to share with you a really simple, but very feminine, card that I think you will enjoy. Once again, I am going to be using a really fabulous plate from Sin City Scraps, Clockworks Inspired by Terri Sproul. 1. Select your printed background paper and any of the number images from the Clockworks plate. 2. Attach your number(s) to an acrylic block, ensuring they will stamp properly. 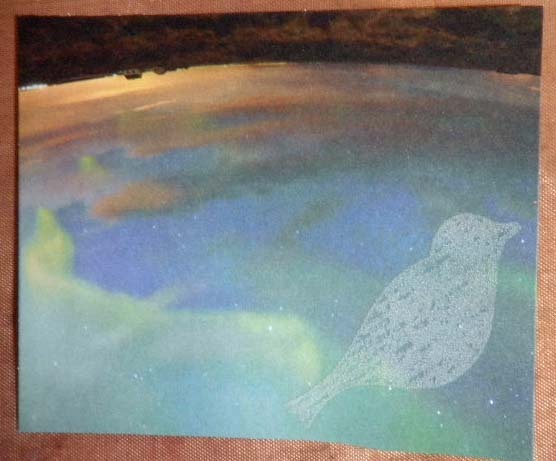 As you can see in the photo below, the images are actually upside down on the acrylic block. If you are not sure they are positioned properly, just stamp them onto a piece of scrap paper first. 3. 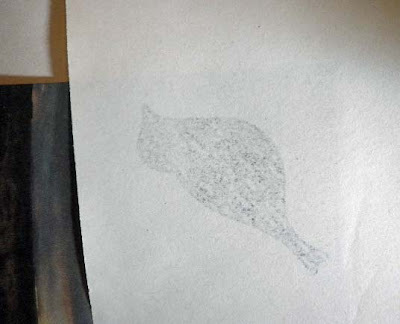 Ink stamp using either the Distress ink pad or marker and stamp onto the background paper, as shown. It is always a good idea to let some of the stamped images bleed off of the paper. 5. 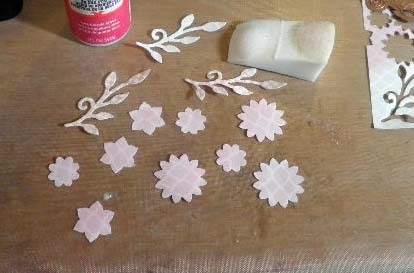 Use the three flower punch and leaf die to punch out flowers and leaves from the scraps of paper and ink with Distress ink in pink and green. 6. 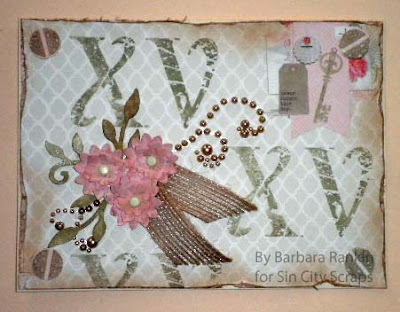 Optional: I added Mod Podge fragile crackle to each flower and leaf for added strength. 7. Crinkle the flowers and layer smallest to largest, inserting a tiny brad in the center of each. 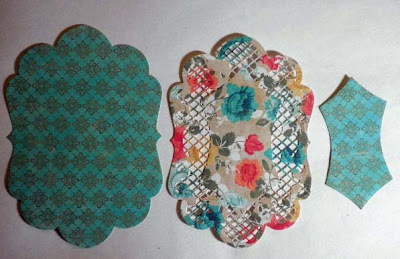 I placed the flowers where I wanted them and made tiny holes in the background paper to insert the brads. 8. Arrange the leaves and two small pieces of burlap ribbon behind the flowers. 9. Add flourish gems to background. 10. 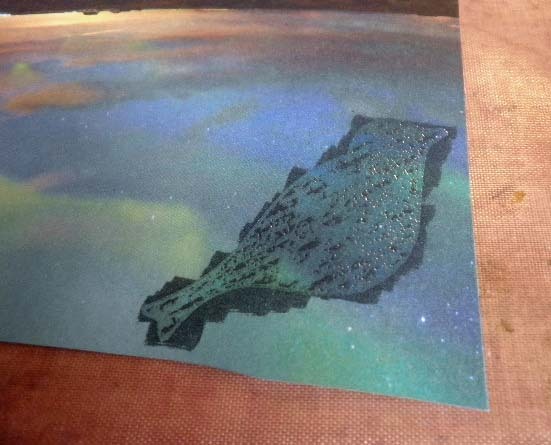 Glue finished background piece to card. 11. 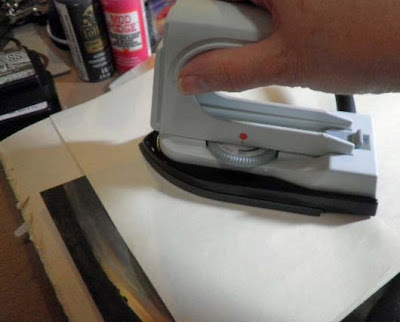 Stamp four screw heads onto a scrap piece of background paper using distress ink, punch out with 1/2" circle punch. Adhere to each corner. 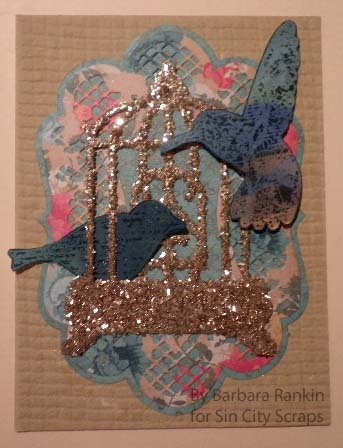 My second card is a fun technique called resist embossing. It is not a new technique, but still lots of fun, and quite easy to do. 1. 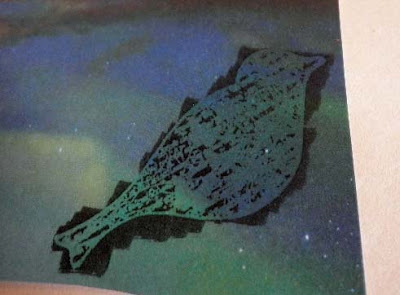 Stamp and clear emboss bird image onto a piece of colorful printed paper from the Stardust mat stack. 2. 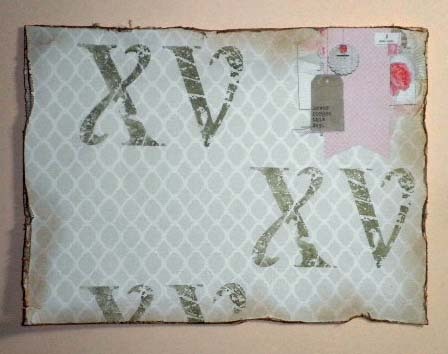 Color over embossed image with Black Soot distress marker. 3. Place image between two pieces of newsprint and iron over the image. The embossing will melt and absorb into the newsprint. This is what the newsprint will look like when completely melted. This is what the image will look like when the embossing powder has been removed. It is now matte and no longer shiny. 4. Repeat step 3 for the second bird image. 5. 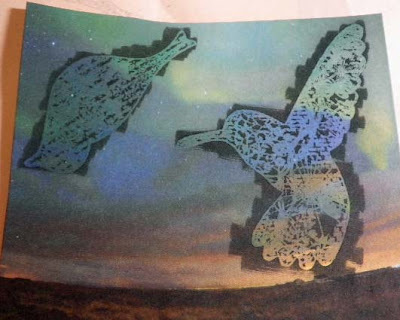 Cut out both bird images. Voila, instant coloring simply by letting the paper colors do the work for you. 7. Die cut the bird cage using the Spellbinders die and a piece of Quickutz double-sided adhesive chipboard. 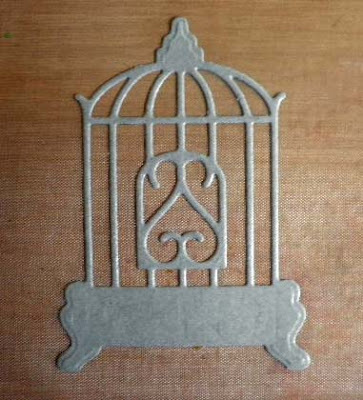 Remove protective release papers and adhere bird cage to a non-stick craft sheet. 8. 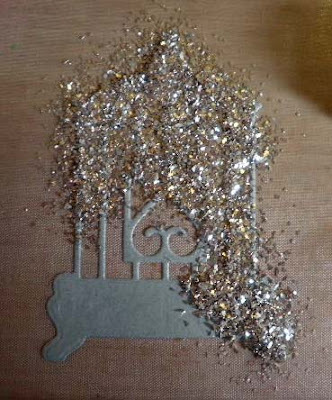 Cover the bird cage with the glass glitter, and then fill in any open spaces left using the finer Mica D'Lights glitter. 9. Attach the bird cage and birds to the front of the card, as shown in the finished card photo above. 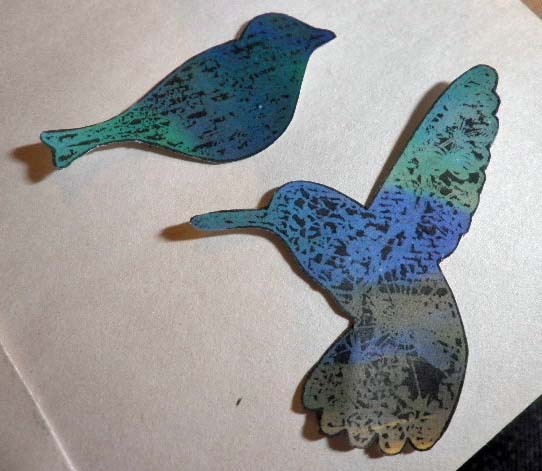 For added dimension, adhere the winged bird with pop dots. I want to thank you for stopping by and I hope you enjoyed my projects today. 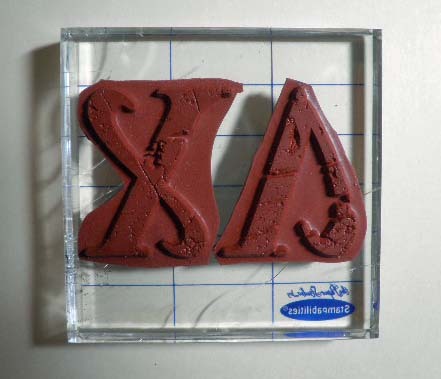 In addition, Sin City Scraps has a beautiful selection of rubber stamps and accessories, and I hope you will take some time to visit their online store. I guarantee you will love their products as much as I do. Also, please be sure to visit their blog for more inspiration from the design team. They are always coming up with wonderful projects to get your creative juices flowing. If you would like to see more of my work, please visit my blog at Black Hole Art Studio.